Lake Manyara National Park, the lake is home to large numbers of flamingos, pelicans, storks and other plentiful bird life, as well as hippos that can be observed at close range. 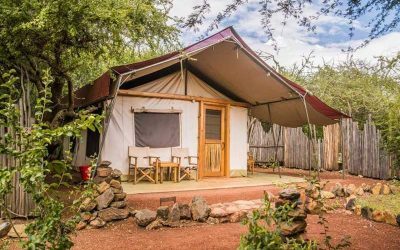 Spectacularly situated at the base of the rift escarpment, Lake Manyara lends its name to a small national park that is big on ecological diversity. Stretching for 50km along the base of the rusty-gold 600-metre high Rift Valley escarpment, Lake Manyara is a scenic gem, with a setting extolled by Ernest Hemingway as “the loveliest I had seen in Africa”. Inland of the floodplain, a narrow belt of acacia woodland is the favored haunt of Manyara’s legendary tree-climbing lions and impressively tusked elephants.